Open the file you wish to protect. With this, your page will only be visible to users that belong to those levels. See profile.php for an example. Use a wildcard to require signing in before viewing a page. This will show your page to all signed in members. See protected.php for an example. Upload all the files to your server, then simply run the Install Wizard. A link to the wizard can be found on the home.php page, or just open the /install/ folder on your server. 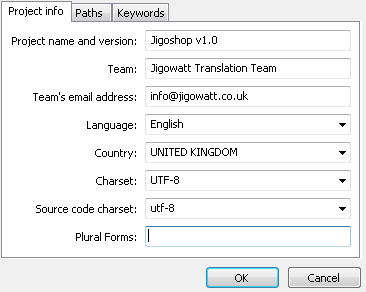 Note: You might have troubles using translations on a Windows environment. It is recommended that you use a Linux server. 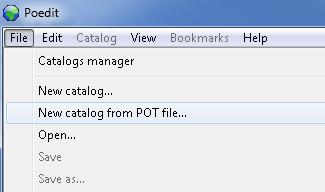 In Poedit, go to File > New Catalog from POT , and select the phplogin.pot file, located in /php-login-user-manage/language/. We saved it under de_DE for German. Click here for your language's abbreviation. Start translating! Click on a line and enter your translated text in the huge white box on the bottom of the window. Once you're done, just save it and it should automatically generate a phplogin.mo file. (Optional) To set German as the default language, open /php-login-user-manage/classes/translate.class.php and change en_US to de_DE. If you want to moderate all user registrations, you can set their default level to a restricted level. When they sign up, they won't be able to access anything until you move them to a non-restricted level. Create a new level, call it "Pending". Check the box to disable this level. Go to Settings > General and set your default level to the Pending level you just created. Optional: Go to Settings > General and turn off email activation for new users.